Introducing Ella Bachés’ newest launch, Great Suncover SPF40, a light diffusing, paraben-free light weight cream foundation, enriched with age defying ingredients that provide a luminous soft glow to the skin whilst protecting against UVA and UVB rays. The cream acts as a sun protective as well as a concealant, providing your skin with SPF40 protection as well as the perfect foundation coverage. 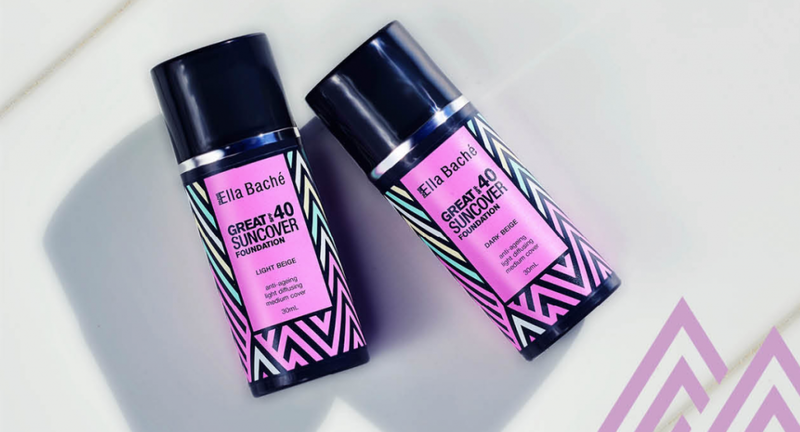 Ella Baché’s Great Suncover SPF40 has been made and tested in Australia to protect against the harsh Summer rays. The Great Suncover SPF40 Foundation provides a medium coverage that can be layered, or applied thin for a sheer and natural look. Organic UV absorbers and titanium dioxide to absorb and reflect UVA and UVB to prevent premature aging. Green Tea as a powerful antioxidant to protect skin from free radicals. Lanolin to protect lipid barrier and maintain moisture balance. Great Suncover SPF40 Foundation is available in 4 shades: Light Beige, Cream Beige, Medium Beige and Dark Beige. Ella Bache suggest to warm the product between fingertips and gently blend onto skin at least 20 minutes before sun exposure. Re-apply often, especially after swimming or excess perspiration. Suitable for all skin types and conditions. Now for the body, Ella Baché are also releasing Great Bodysaver Lotion SPF 50+, a nourishing and fast absorbing light weight non-greasy lotion for the face and body offering the highest broad spectrum protection of SPF 50+. The perfect take everywhere product for Summer, Great Bodysaver Lotion works hard to protect your skin from harmful rays whilst also providing your skin with nourishing benefits. Enriched with lanolin, macadamia nut and olive oil derivates to keep skin soft, moisturised and hydrated. Packed with super fruit antioxidant complex of pomegranate, cranberry, grape seed and vitamin E, it enhances the skins’ protective barrier and prevents moisture loss. Both products will be available late August at all Ella Baché salons, David Jones stores and the Ella Baché online store. For stockists call 1800 789 234 or visit their location finder at ellabache.com.au. Additionally, Ella Baché are excited to launch their #IWillBeMe campaign, encouraging Australians to find confidence in their own skin. Through their 28 Days to Skin Fit Program, #IWillBeMe is focused on empowering women to love and display their whole selves. Ella Baché believes it’s not just about how you show your skin, it’s what you do in it that matters. Ella Baché believes every Australian is unique and beautiful in their own way which is why they’re encouraging Aussies to take part in #IWillBeMe campaign. The #IWillBeMe campaign focuses on an Ella Baché 28-day Skin Fit challenge, encouraging inner and outer health. 28 days is the length of time it takes for skin cells to rejuvenate which is why Ella Baché are launching a Spring ‘28-Day SkinFit’ program. “#IWillBeMe campaign is about empowering Australians to be confident in their own skin. The 28- day skin fit program will allow customers to join us on a journey to skin health. 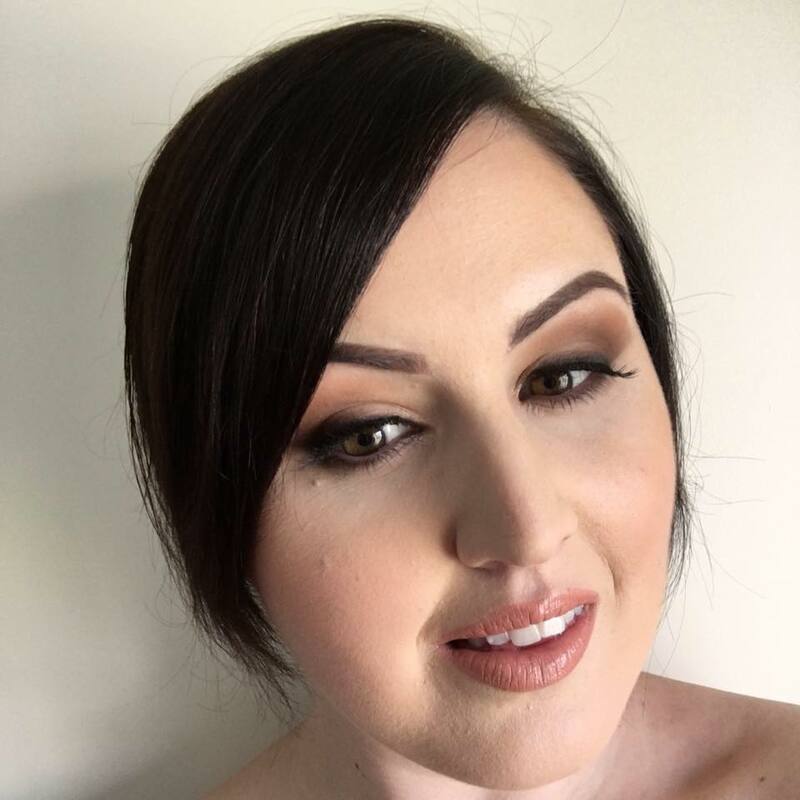 We want Australian’s to share the best versions of themselves which is why we’re also encouraging them to share their story on social media.” Says Pippa Hallas, Ella Baché’s CEO. Ella Baché’s #IWillBeMe campaign stars Australian actress Madeleine Madden, Arabella Peterson of The Ladies Network and model Zoe Cross. Together these three Australian beauties signify the underlying themes of Ella Baché’s campaign, championing self-acceptance and a celebration of skin. Australians are encouraged to kick start their Spring journey to healthy skin by booking an initial complimentary skin diagnosis, followed by a 45 minute SkinFit facial treatment. Through the program customers will be prescribed a personalised skincare routine and educated on the best homecare skin solutions, allowing them to take the necessary steps towards optimum skin health. They’ll also receive a ‘SkinFit pack’ with two travel sized products tailored to their individual skin diagnosis. The #IWillBeMe campaign kicks off on the 28 th August where consumers are encouraged to visit an Ella Baché salon to receive their complimentary skin diagnosis. Throughout the campaign, consumers will also be encouraged to share their journey on Instagram using the hashtag #IWillBeMe.